In recent years the UK has seen a huge growth in the number of sporting activities available and the current interest in more diverse sports was largely down to the popularity of the London Olympics of 2012. Although some of these sports require specialist equipment almost all need quality shoes, apparel and accessories. 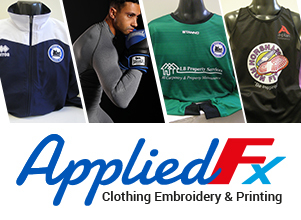 We also provide embroidered and printed clothing for club officials, societies or club members and stock a huge range of different styles and colours from the market leading brands.